To Infinity, and Beyond! 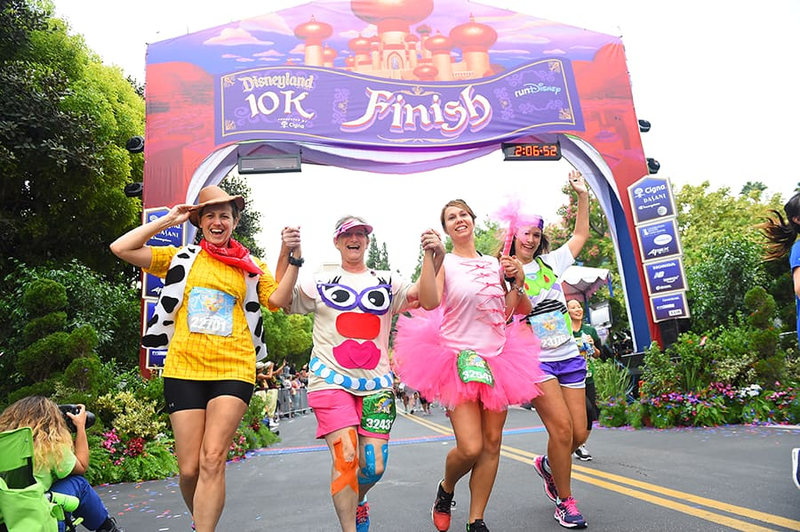 The 2017 runDisney Disneyland Half Marathon Weekend will be celebrating a few of Pixar’s most beloved films – and we couldn’t be more excited! 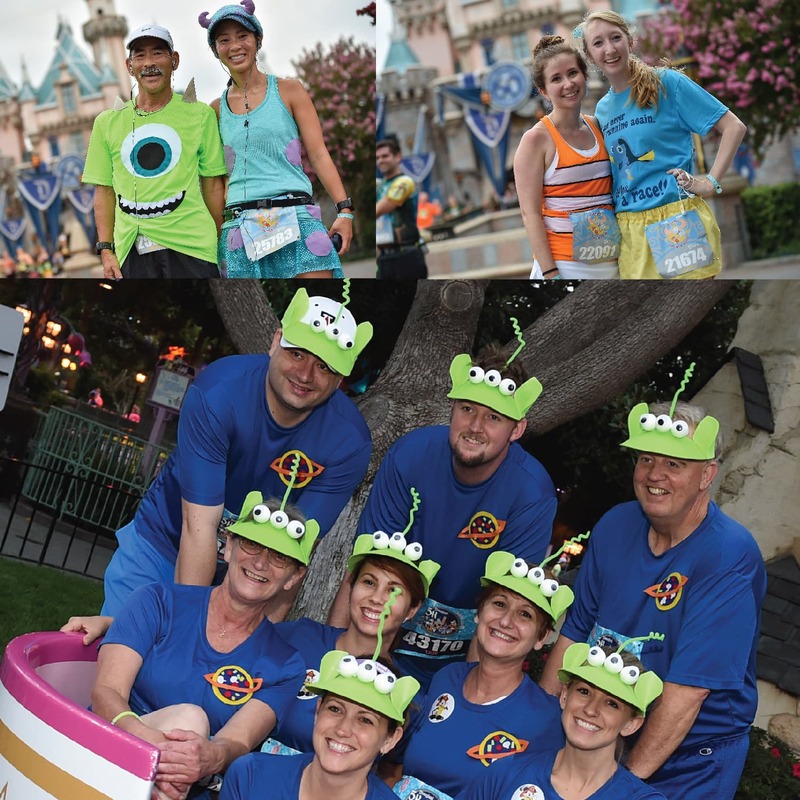 Race to infinity and beyond with the pals of “Toy Story” at the Disneyland Half. Will you join us for this year’s race? Spaces are still available for select races here. For updates and medal releases, follow runDisney on Facebook, Twitter, YouTube and Instagram. Share your excitement using the hashtag #DisneylandHalf. To learn more about runDisney events, please visit us here! Excited and signed up because of the theme! I hope the half-marathon medal will feature Buzz Lightyear, but I like all the “Toy Story” characters. Noooo! This is our first Disneyland Half Marathon Weekend and I have to say I’m seriously disappointed about the Pixar theme. I was so looking forward to Dumbo Double Dare, and have even designed costumes around that theme. I would love to be given the opportunity to postpone my race registrations to next year, and hope there will be a return to classic Disney characters. Does anyone know if Merida will be in any of the races?? That’s my friend Nicole and her costume group as Inside Out characters. Love love love!! I like the new theming, but I also wish we knew sooner. Will be doing 5 & 10. After first 10 years of running the half, we decided to spectate last year and had a BLAST!! We set up a Dumbo Circus tent out at mile 11 and cheered for hours. I guess it’ll be some kind of epic Pixar themed cheer spectacle this year. Can’t wait!! As both a long-time Run Disney participant as well as a Run Disney Volunteer Physician for these events, I am excited for the upcoming run. Although I am a bit bummed that it won’t be the classic Disney characters, including Dumbo, I will hope for the best. Run Disney events always impress me and it’s a great way to stay motivated and keep training and be healthy! 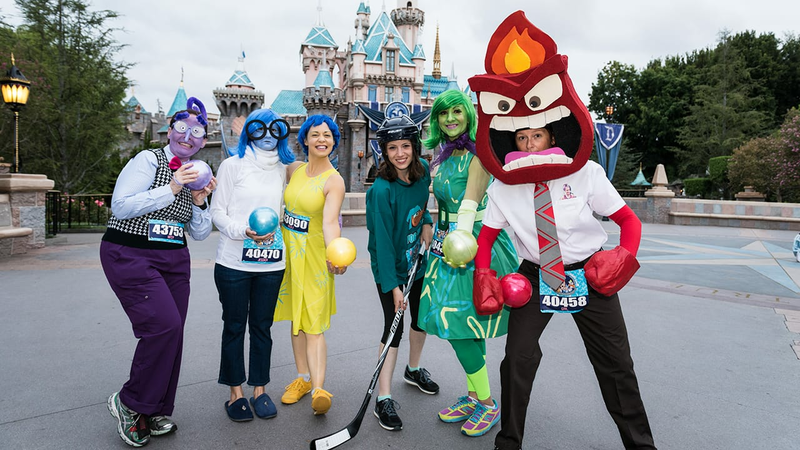 Perhaps, Disneyland can do a separate Pixar themed race weekend at Disneyland and also keep the classic Disney characters during Disneyland Half Marathon weekend, next year. I am extremely upset to see the change in theming. This change should have been advertised well before sign up for the races. We are not fans of these Pixar movies and probably would not have signed up had we known. Disney needs to stick with the classics. This is so upsetting. Just saw this, very excited! I’ll be completing my Coast to Coast Challenge that weekend so having cool looking medals to complete the set is great. I can’t believe I’m missing this one! I am a teacher who is totally obsessed with all things Pixar and Run Disney. My classroom is even decked out with Pixar! Unfortunately, this Marathon weekend is always the “back-to-school” weekend so I did not register. However, if I would have known the theme, I would have made it happen! So disappointed. Oh mine I love Toy Story specially Jessy. Great news for the half marathon!!!! This is my first time doing the Disneyland Half Marathon, and my first time to Disneyland, and I am really bummed to hear about the change in theme. The whole reason I signed up for this run was for the tradition of Disneyland and for the traditional theme and medals. I do think this change should have been posted prior to sign up. I may have reconsidered the run. THRILLED with the change in theme! Dumbo had it’s five year run… time for something new! We ended up registering for this because of the theme! Wish we knew before early registration – because we like to do all three races, and registering later after this announcement the 5k was already sold out. But we’re still in for the challenge! Looking forward to this race weekend!!!! I can understand changing the themes from time to time, but we should know what it is when we register. We have to register so early and there aren’t refunds, so at the least we should know what we’re signing up for. I can’t be the only one that registers based on the medals and theme. By the same token I didn’t register for Tinker Bell this year because I have the medal from a previous year and now we find out there are new medals for that. I would’ve signed up for it, but now I’m committed to another race. YAYYY!!! I’m so excited to see how they design the medals! Thank you so much for choosing an amazing theme! I’m a HUGE fan of PIXAR!!! Looking forward to another successful year with Rundisney! This is fabulous! We love Pixar movies and runDisney events. The shirts and meals should be really fun! Bummer about the Double Dare. We only run it for Dumbo. Will there be a matching dooney, and when can we hope to get a sneak peek?! We just learned this morning that the Disneyland TinkHalf weekend will NOT be using any Volunteers. Do you know if they are going to be using volunteers for this, or any other future Disneyland RunDisney events?? I’m so excited about the Monsters Themed 10K! Will the Dumbo Double Dare theme return next year? That’s my favorite race theme and I’m bummed it’s changing on us this year.